NEW YORK— Nobel Laureate, Holocaust survivor and author, Elie Wiesel, died today at age 87. Wiesel was a tireless advocate for the memory of the six million Jews murdered during the Holocaust, as well as for the human rights of persecuted people worldwide. Doggedly committed to applying the central moral lesson of the Holocaust to the present, Wiesel spoke out frequently against injustice and played a key role founding American Jewish World Service by joining its board as a founding member thirty-one years ago. “With profound sadness, we mourn the loss of Elie Wiesel, who, after surviving Auschwitz as a teenager, transformed himself into a prophetic thinker, writer and activist. Wiesel articulated forcefully the connection between the murder of the Jews of Europe during the Holocaust and the moral obligation to stand up for persecuted people worldwide. Among his myriad tireless efforts to achieve justice in the name of those murdered during the Holocaust, Wiesel played a key role in establishing American Jewish World Service (AJWS). Wiesel generously lent his moral authority to AJWS from its founding and joined its board as one of its founding members thirty-one years ago. The AJWS family is deeply indebted to Wiesel for his foundational role in establishing AJWS and most importantly in raising his prophetic voice and insisting that Jews and others must take responsibility to fight injustice everywhere,” said Robert Bank, President and CEO of AJWS. “Elie Wiesel was fearless in speaking out against injustice. More than any other person in recent memory, he publicly pressed American presidents for failing to stand up for justice. In 1985, he implored President Reagan to abandon his misguided planned visit to the graves of SS officers in Germany, and in the 1990s beseeched President Clinton to act against the threat of genocides in Bosnia and Rwanda. Wiesel would go wherever he was needed to protest injustice, including to the border of Cambodia in 1980, to protest the horrific treatment of Cambodian refugees whom he likened to Jewish refugees after World War II,” added Bank. “We will continue to draw upon the wisdom of Elie Wiesel and honor him for decades to come by standing up as Jews, together with others, to fight injustice everywhere. As Wiesel famously wrote in Night, his memoir of the Holocaust, “Human suffering anywhere concerns men and women everywhere,” said Bank. 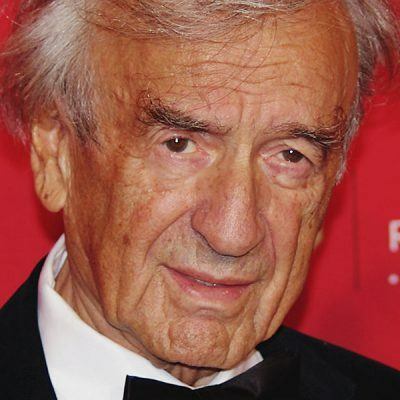 “May Elie Wiesel’s memory serve as a continual call to remembering the past, standing up against injustice today, and shaping a just world, in which the human dignity of every person is honored and their rights respected,” added Bank.